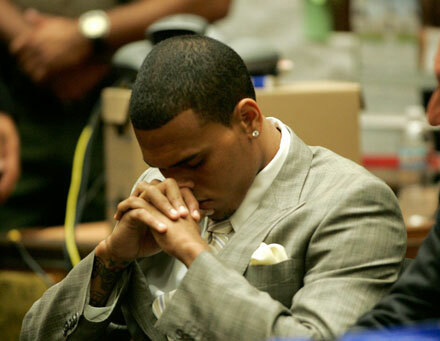 Now Chris Brown will have to spend 180 days cleaning up highways and removing graffiti off buildings in Virginia. R&B singer pled guilty to assaulting Rihanna at yesterday’s court hearing and actually struck a plea bargain with prosecutors so Rihanna, who was subpoenaed to testify, didn’t even have to leave the “family room” adjacent to actually speak during the court hearing. Rihanna arrived in court in an all-black ensemble looking somber and demure. 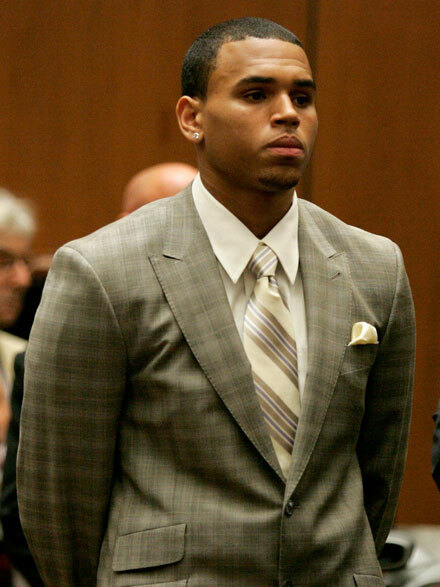 According to court papers, Chris is sentenced to 5 years probation and 180 days of community labor. But fortunately for him he’s managed to escape without jail time. Brown has to go back to court every three months and enroll in a domestic violence counseling program, his lawyer Mark Geragos told the press. According to LA Times, judge Patricia Schnegg said she planed to issue “a stay-away” order barring Chris from having contact with Rihanna and staying at least 50 yards away from her or 10 yards away if they attend the same public event. It was revealed Rihanna didn’t want the order. Does it mean she’s still into him?